A change in the EMS service area for the Belton Fire Department will occur on Monday, Oct. 1, as American Medical Response (AMR) will begin covering unincorporated areas of Bell County currently served by Belton EMS. The change will not affect EMS service within the Belton city limits. “Although the Belton Fire Department will no longer be the primary EMS agency responding to areas of Bell County, we will continue to support AMR as we adjust to this change of service,” Belton Fire Chief Bruce Pritchard said. Again, the change in EMS providers will only affect those living outside the Belton city limits. 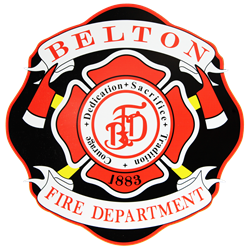 Belton residents will still be served by EMS provided by the Belton Fire Department. For emergency assistance in or outside city limits, anyone that needs EMS services should call 911, and the Bell County 911 Center will dispatch the appropriate service provider.